It is ill advised to go shore diving or snorkeling without boots. One wrong step and you’ll accidentally hurt yourself on sharp surfaces or get acquainted with a sea urchin’s spike. 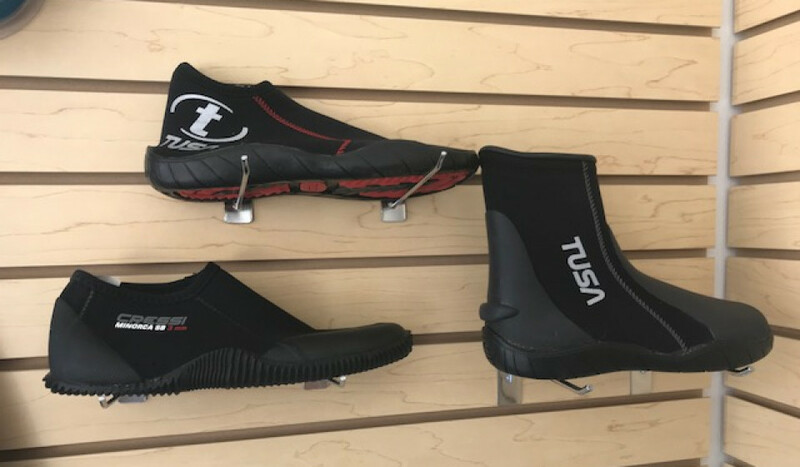 Wear diving boots for carefree diving or snorkeling.